If you’re looking to buy a quality air purifier for allergies and asthma, but don’t want to break the bank – it’s hard to look past anything in the AeraMax range. All have been designed specifically for people suffering with allergies – with the basic difference between the AeraMax 100, AeraMax 200 & AeraMax 300, is the size room they are best suited to (100, 200 & 300 sq. ft. respectively). 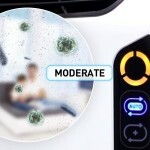 The AeraMax 200 air purifier utilizes four kinds of filtration to keep your home free of airborne pollutants. The activated carbon pre-filter captures larger particles and removes odors. 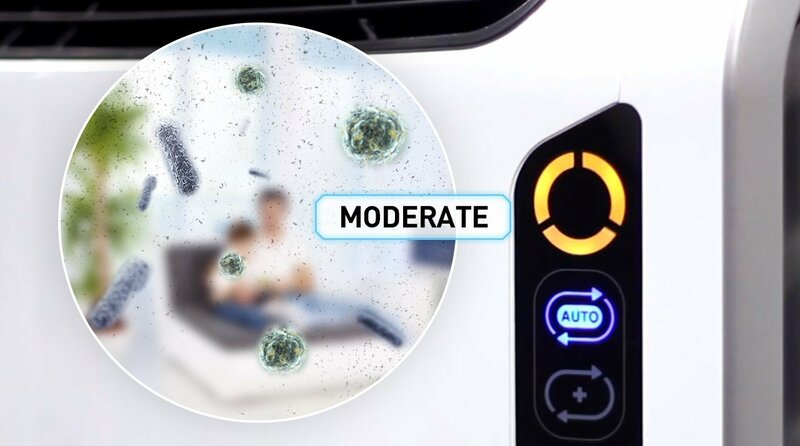 The True HEPA filter removes particles as small as 0.3 microns (99.97% of airborne particles), which includes allergens, molds, dust mites and even smoke particles. 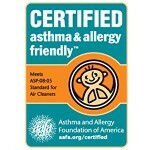 The AeraSafe anti-microbial treatment keeps HEPA filter free from bacteria and mold infestation. 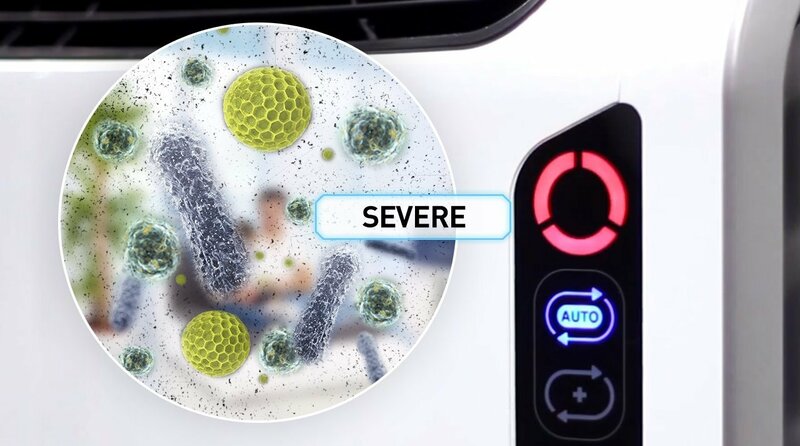 Finally, air ionizer technology is employed to remove the airborne particles that are too small for the HEPA filter. (Read more about ionic air purifiers). All-in-all, this combination of filters provides a strong offensive attack against the broad spectrum of airborne allergens and pollutants. Clever on-board sensors monitor the quality of air in the room, and when set to automatic, will ramp up the fan speed until safe levels are detected again. This function means that you can “set-and-forget” the unit with the peace of mind knowing that the air will remain safe and clean (without needing to worry about the electricity bill!). 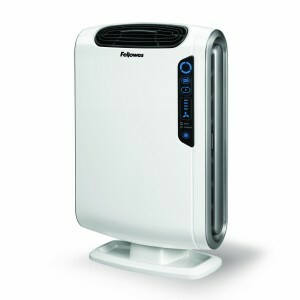 The AeraMax purifiers fall in the upper-range of budget air purifiers, however being able to choose between 100, 200 and 300 sq. ft. areas mean that you can select the right combination for your needs. They are all backed up by a 3-year manufacturers warranty and come with customer support if required. With such overwhelming support from asthma and allergy sufferers, the AeraMax range is certainly worth a try for you to see the results for yourself.